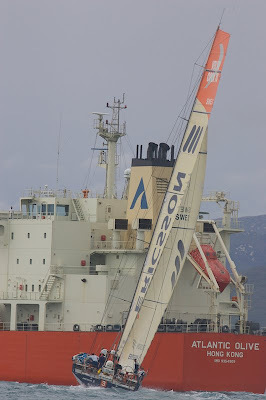 Just 48 hours into Leg 1 and the fleet are staying within touching distance of each other after exiting the Straits of Gibraltar yesterday. 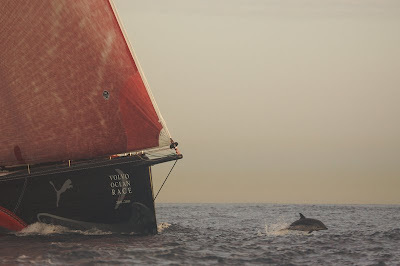 After the champagne sailing conditions for the start, Green Dragon lost valuable miles as they tried to exit the Gibraltar straight. 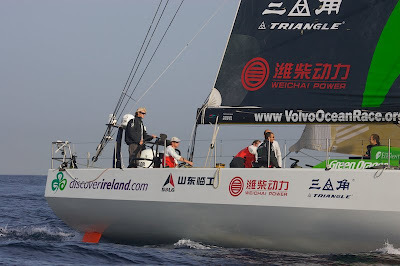 The Dragon had built up a good lead over Puma Telefónica Black, but they were able to sail straight up to Green Dragon in the dying breeze. 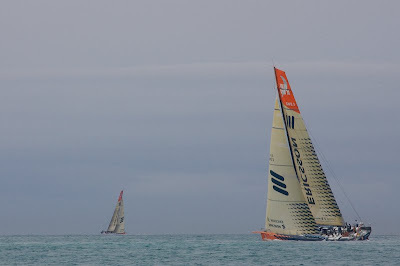 The two Ericsson boats exited the Straits first, with Green Dragon, Telefoncia Black and PUMA all hot on their heels as they pushed south past the coast of Morocco. The 1600 GMT polling showed Green Dragon in 5th with just 8 miles separating the top five boats.